The Lynx 2 door wardrobe is the perfect addition to any bedroom or dressing room. The unit is constructed from MDP with a high quality finish. The Lynx bedroom range comes in a variety of colours, making sure you will be able to find the colour to match your bedroom decor. 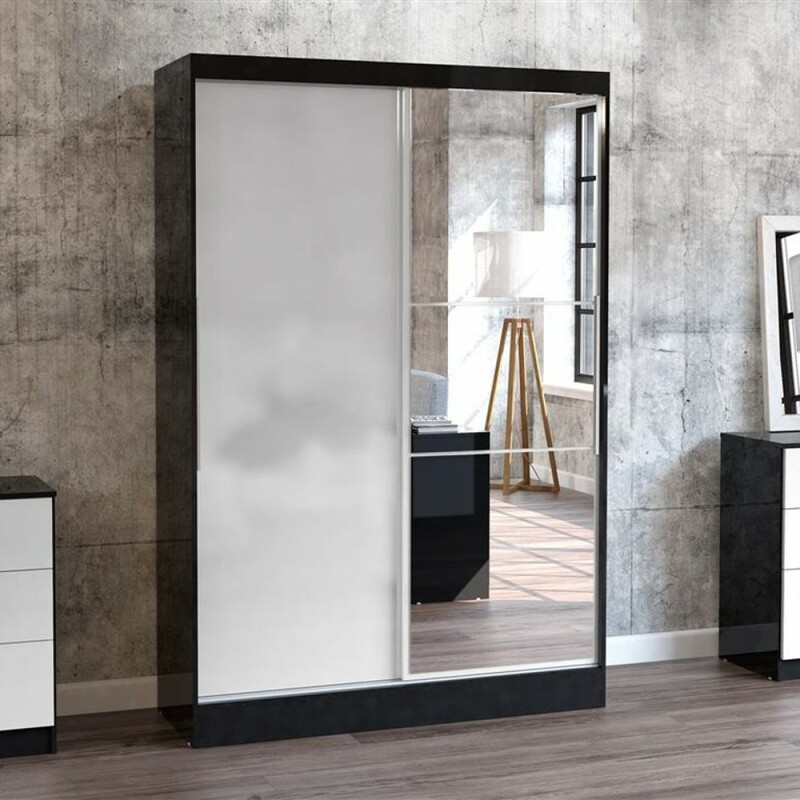 This two door wardrobe features sliding doors, one of which is fully covered with 3 mirrors. The sliding doors sit and move freely from one side to the other on the runners. Behind the doors there is a large shelf to the top that sits above the hanging rail. There is a vertical metal handle on each door to prevent the mirror from being dirtied. Тhe Lynx 2 door sliding wardrobe is supplied flat packed, they are easily assembled using the instructions provided. The product is part of the Lynx White and Black Wooden Bedroom Furniture Collection.